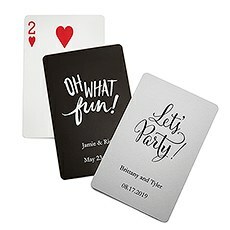 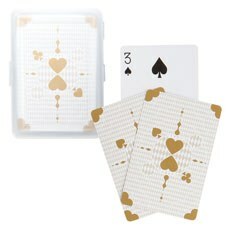 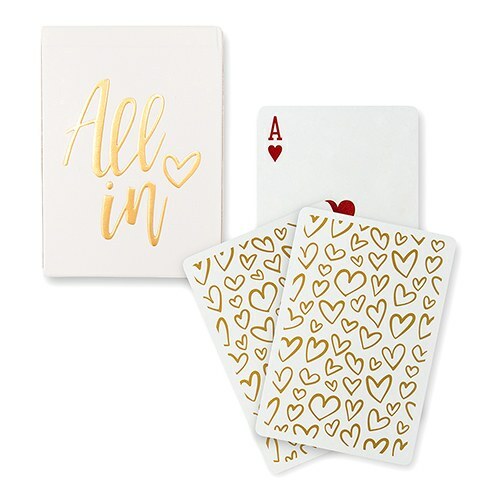 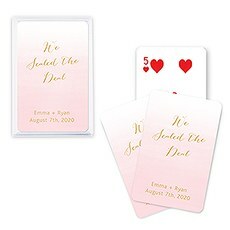 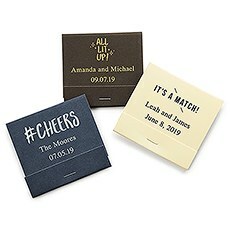 Diehard card sharks and playful party-throwers will get a kick out of these adorable Gold Foil "All In" Playing Cards! 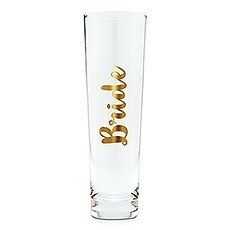 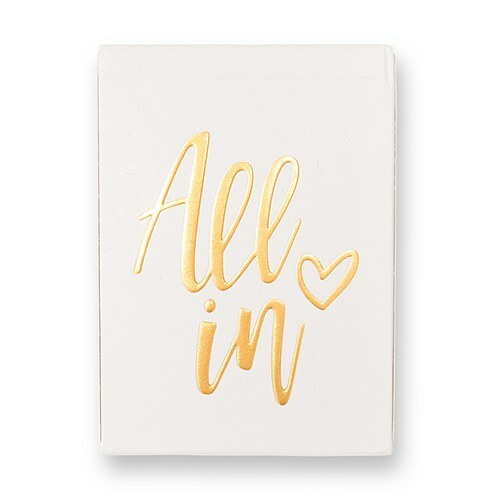 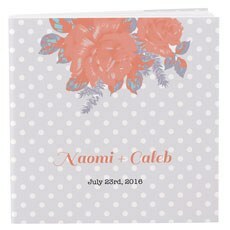 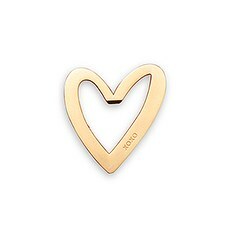 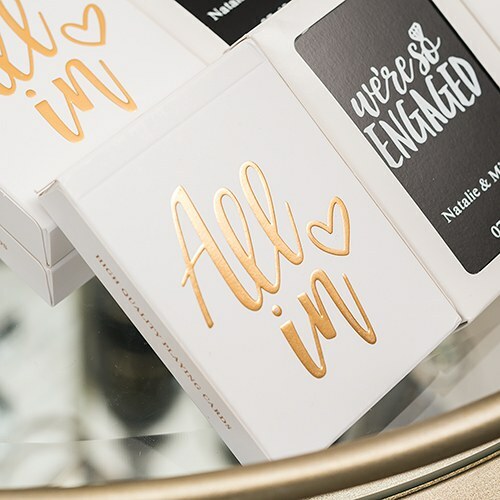 Each one features a sweet, gold-foil design imprinted with the words "All In" plus hand-drawn hearts for a trendy yet down-to-earth feel. 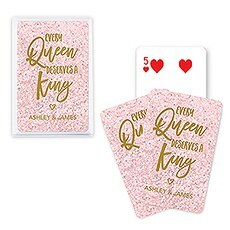 These cute-as-can-be cards make awesome playing card favors for weddings, bachelor and bachelorette parties, Vegas-themed parties and fundraisers. 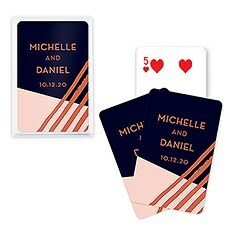 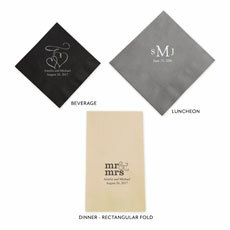 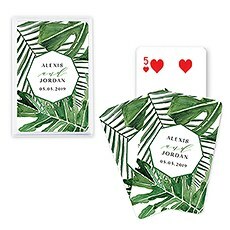 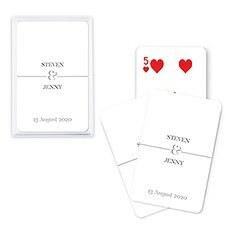 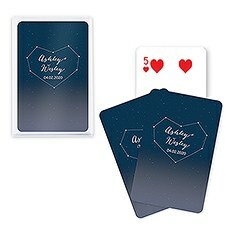 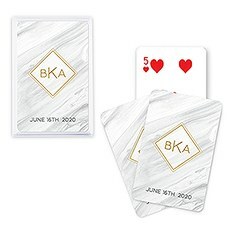 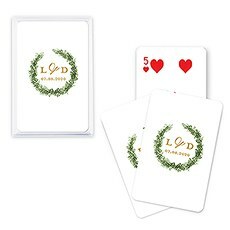 You can order large quantities and send your guests home with something they'll use long after your event with these eye-catching playing cards. 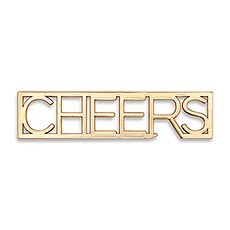 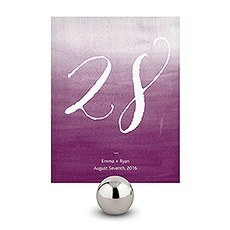 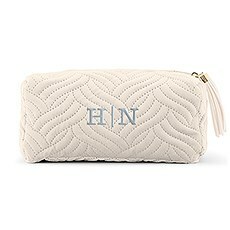 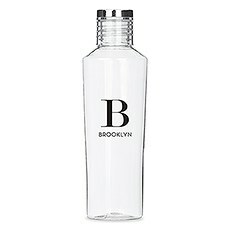 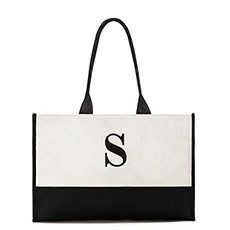 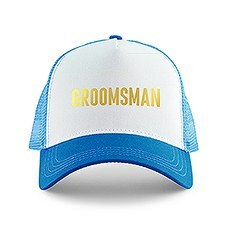 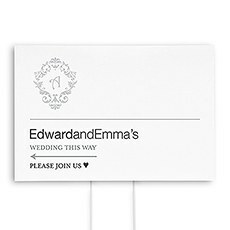 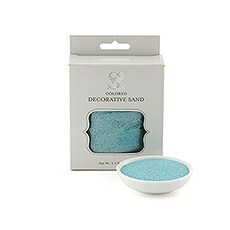 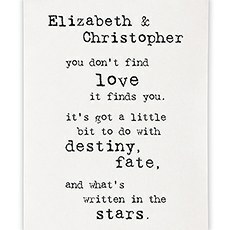 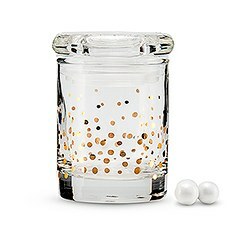 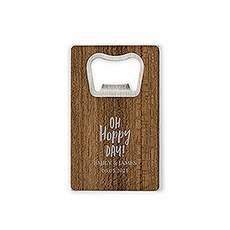 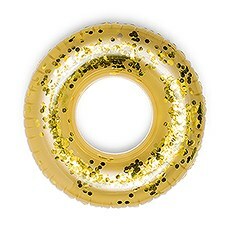 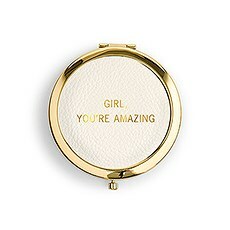 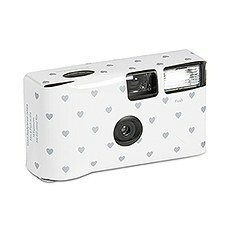 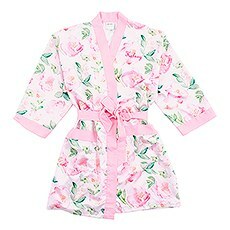 They can be ordered in quantities of one to several hundred at The Knot Shop. 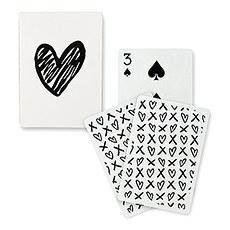 Measures 2.5 inches long by 3.5 inches high Made of paper.